Home > Musical Instruments > Percussion Instruments > Clackers > Spring Clacker - Abstract! 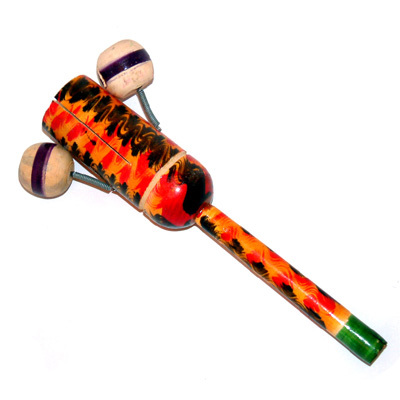 A noisy little clacker from India with an abstract design. Shaking it makes the sprung balls clack loudly against the hollow handle.